Beat 3 eggs with 3 tbsp. of sugar on bain-marie 10 minutes or until creamy. 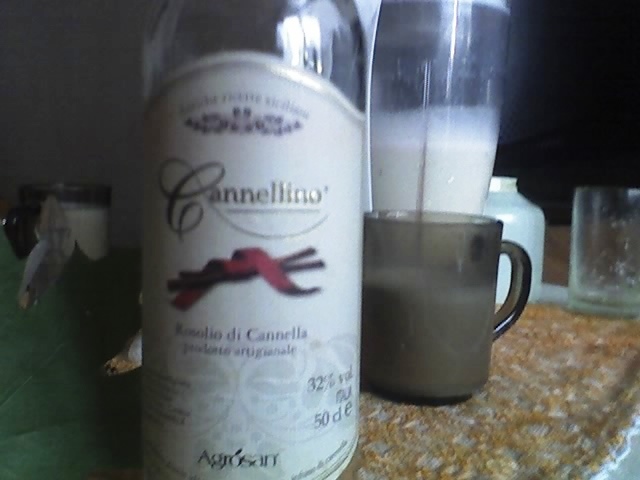 Blend with 1 liter of milk and 50 ml Rosolio di Cannella. I used Cannellino .